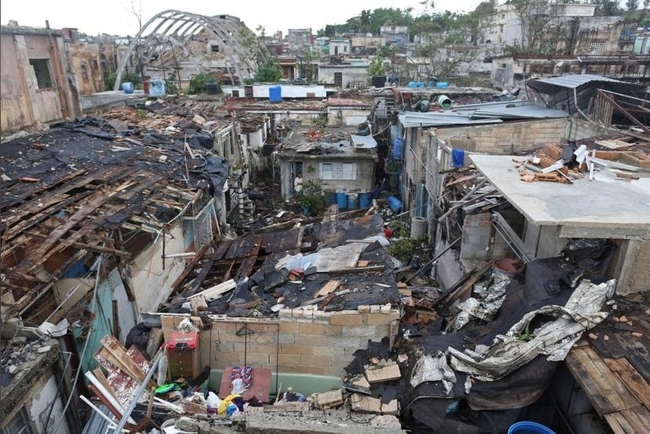 On behalf of the Executive Committee of the Cuba Solidarity Campaign, and on behalf of all our members and affiliated organisations, we would like to express our sincerest condolences to the Cuban people following the terrible effects of the deadly tornado that struck the island including Havana on Sunday 27th 2019. We would like to pass on our condolences to those families that lost loved ones, and our best wishes to all those who have been injured or affected by the disaster. As ever we offer our deepest solidarity. We recognise the tremendous efforts of the Cuban people to move swiftly and professionally to deal with the disaster, led by President Miguel Díaz-Canel Bermúdez, the Cuban government, provincial and municipal authorities and the various organisations involved in recovery and rebuilding. We would also like to offer our support and assistance to the relief efforts. As with recent natural disasters, including hurricane Irma, it is clear that the greatest threat at these times to the people of Cuba is the ongoing blockade of the island. We believe that the best way to help the Cuban people in their efforts to recover from this latest humanitarian disaster would be the ending of the US blockade which puts so many obstacles in the way of recovery and rebuilding efforts.